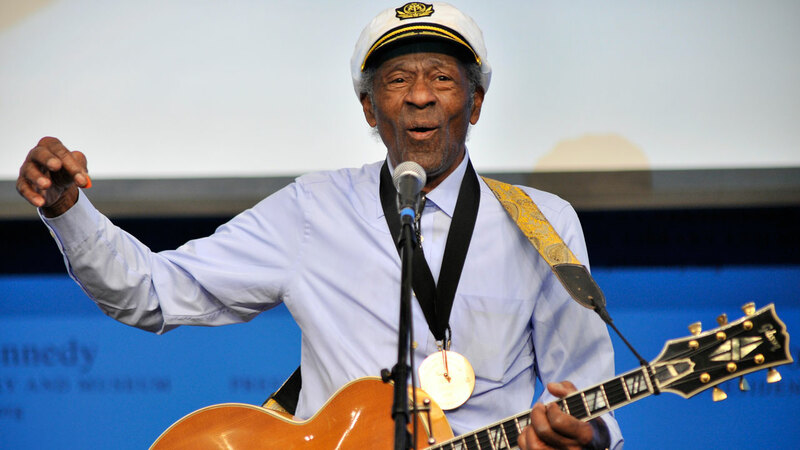 Chuck Berry, rock 'n' roll's founding guitar hero and storyteller who defined the music's joy and rebellion in such classics as "Johnny B. Goode," ''Sweet Little Sixteen" and "Roll Over Beethoven," died Saturday at his home in an unincorporated area west of St. Louis. He was 90. Emergency responders summoned to Berry's residence by his caretaker about 12:40 p.m. found him unresponsive, police in Missouri's St. Charles County said in a statement. Attempts to revive Berry failed, and he was pronounced shortly before 1:30 p.m., police said. A police spokeswoman, Val Joyner, told The Associated Press she had no additional details about the death of Berry, calling him "really a legend."